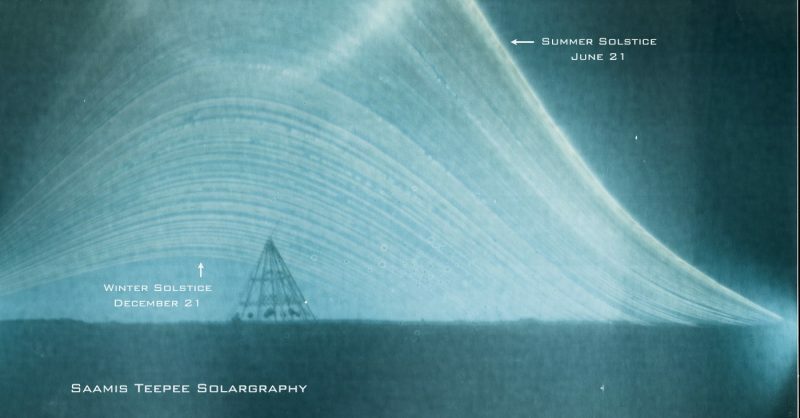 A solargraphy of the Sun’s path between the June summer solstice and the December winter solstice. Image Credit: Ian Hennes. The solstice is upon us, and for readers in the Northern Hemisphere, this means winter is coming. Astronomically, tonight ushers in the winter season as the Northern Hemisphere experiences the longest night and shortest day of the whole year. The solstice occurs at the exact moment when the Northern Hemisphere is titled in the furthermost position from the sun all year. In the Southern Hemisphere, the opposite is true. Due to the Earth’s 23.5 degree tilt on its axis, today marks the astronomical beginning of summer as that part of the earth experiences the longest day of the year. The solstice takes place at the same instant worldwide, however, because of differentiating time zones, it occurs on two different days depending on where you live. In the United States, it occurs at 5:44 EST. 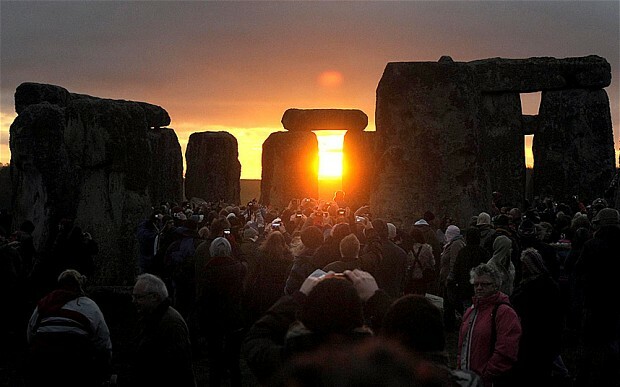 Many ancient civilizations celebrated the winter solstice as a sort of last religious “hoorah” before the often party-less winter months settled amongst the region. Struggling to survive on little food and constantly trying to stay alive in the freezing cold really seemed like too much of a hurdle for medieval caterers and party-planners. Thanks to modern heating and the globalization of food markets, we can skip the whole survival-of-the-fittest aspect and just celebrate! 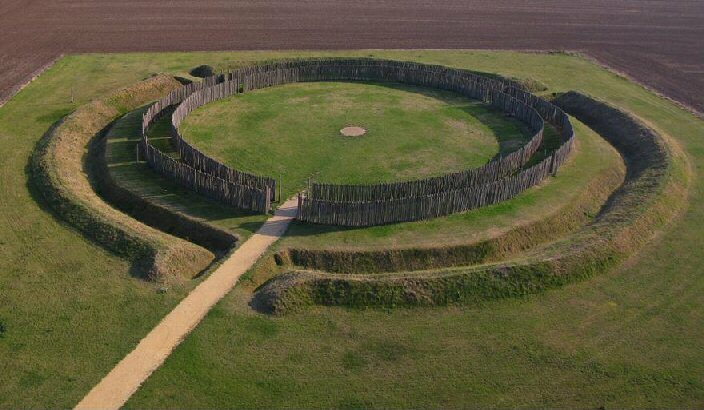 Many people still use the monuments of ancient civilizations for their original purpose – to celebrate the solstice in places like Stonehenge in England, Newgrange in Ireland, the Goseck circle in Germany, and Tulum, Mexico. Astronomy, earth, Solstice, Sun, Winter, winter solstice. Bookmark.